We run a wide variety of free children’s activities every day at our West End studio. Children of any age are welcome as our activities can be easily adapted to suit a child’s skills and needs. Parents and guardians need to be in attendance at all times. Please pop in anytime during our opening hours. Paid street parking is available on all nearby streets. Boundary, Mollison, Jane, Russell and Browning streets are all a short walk from our studio. Free parking is available in the Coles shopping complex for 2hrs when shopping in their centre. We are excited to be a part of the Brisbane Ice Cream festival for the third year in a row. We’ll be making some epic kids ice cream inspired art creations all weekend long. Join us at Southbank Parklands for free children’s clay making. 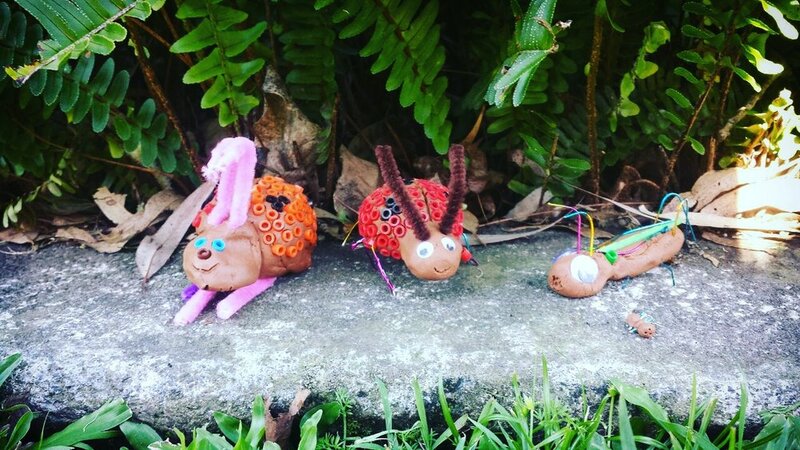 Make your very own family of bugs, or just enjoy exploring the properties and texture of clay in your hands. 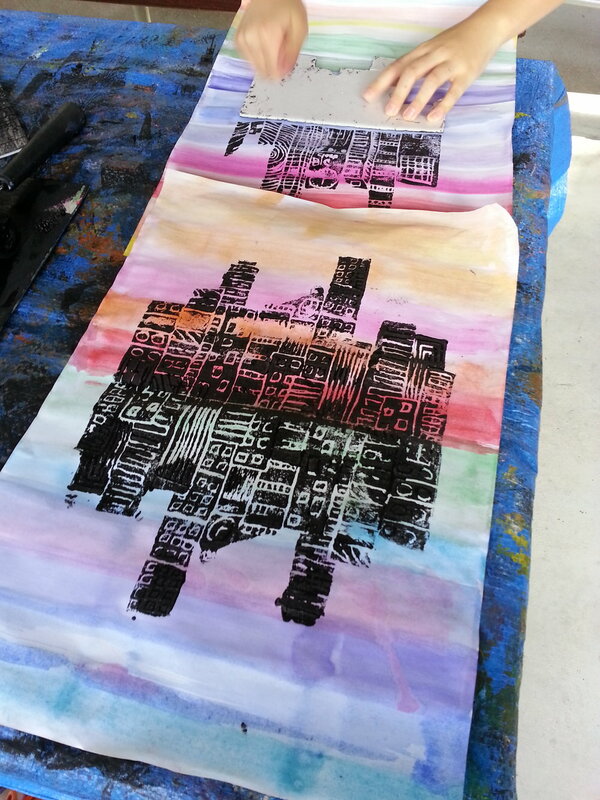 Free daily art activites for children of all ages at our West End studio located at 97 Boundary Street, West End. Creative Kids Brisbane proudly runs children’s art activities in conjunction with the Brisbane City Council’s Active Parks Program. These holidays we’ll be running low cost activities in the Mt Coot-tha Botanic Gardens Arid Zone. Head to our Eventbrite listing to booking your child in. 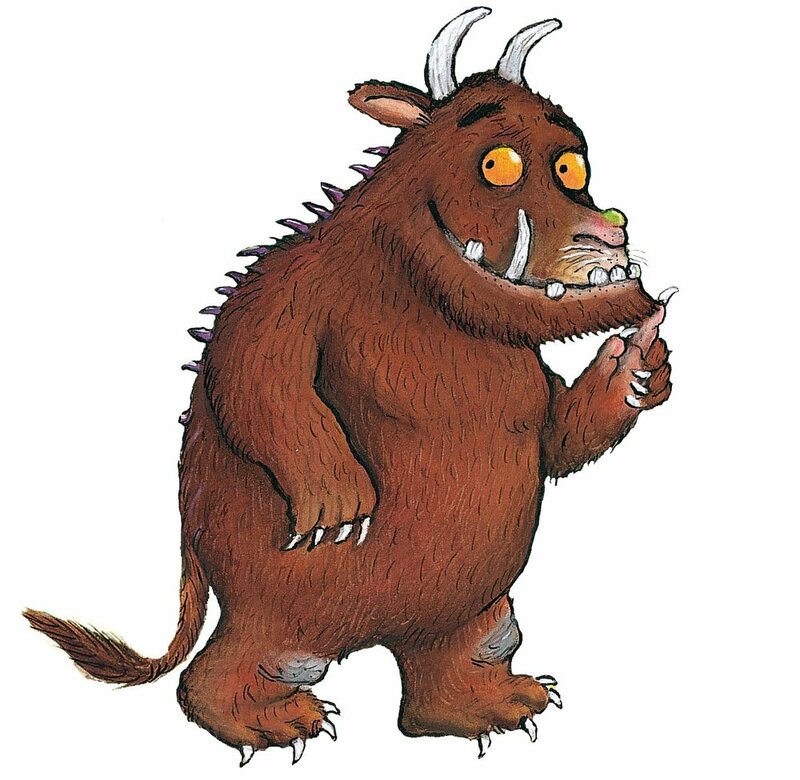 Join us at Carindale Library for a fun workshop learning how to illustrate and paint your own version of Julia Donaldson’s, The Gruffalo. Please contact the library directly to make a booking. Join us at MarketPlace Warner for free kid’s Christmas Craft from the 15th to the 24th of December from 9am-12pm each day. Clay Christmas Decorations: 15th-17th Dec. Painted Christmas Stockings: 18th-21st Dec.
Glitter Christmas Baubles: 22nd-24th Dec.
Daily art activities for children of any age to explore, create and enjoy art in our beautiful outdoor art space in the Laneway at West Village. Art sessions are most suited to children aged 6 months to 5 years. Bookings are only essential for the school holiday period and can be made via Eventbrite.